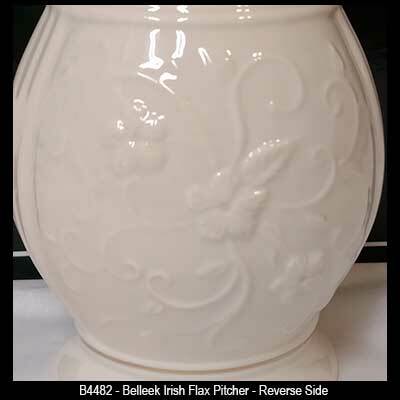 Belleek pitchers, with their shamrock or floral design, will be a focal point of elegance on your table. 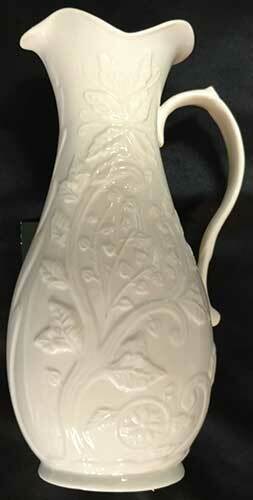 A Belleek pitcher is suitable for serving your favorite beverage or it may be used as a decorative item in any room. Most of the Belleek pitchers are also suitable for flower arrangements as they may do double duty as a vase. 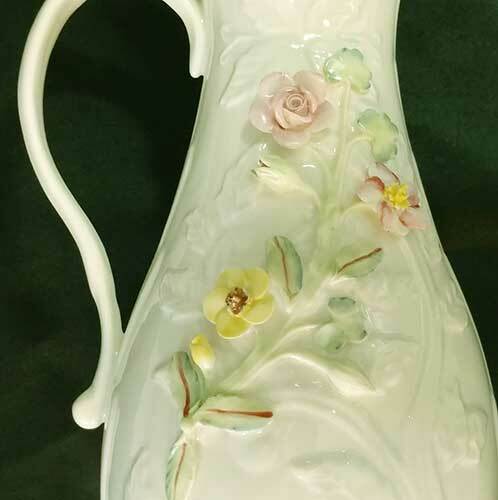 Belleek wild rose pitcher features fine china that is enhanced with hand-painted flowers along with embossed details on both sides. 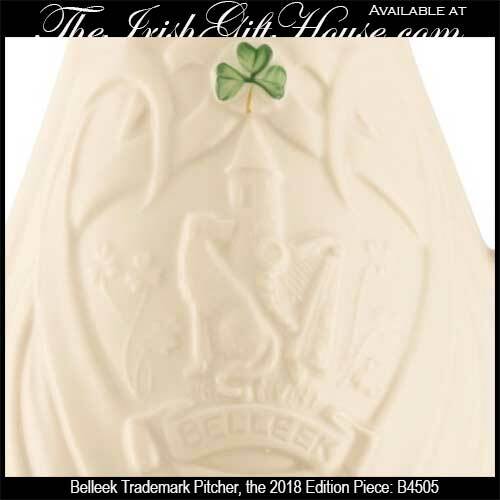 Belleek Trademark Pitcher is offered in commemoration of the 161st year of this Irish china. 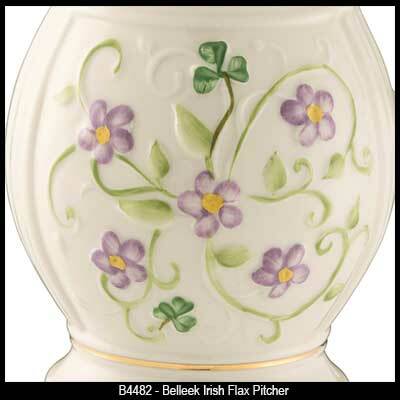 The Belleek pitcher is complete with icons of Ireland including the shamrock. The Irish Gift House offers the complete line of Belleek dinnerware so you may set an elegant Irish accented table. Add a Belleek tea pot and Belleek mugs to your setting and your family and guests will be really impressed to dine on such fine Irish china. Add to your table arrangement with Galway Crystal Claddagh glasses or Galway Crystal Trinity glasses and finish with some of our Irish dinnerware or accent with a set of Irish salt and pepper shakers.